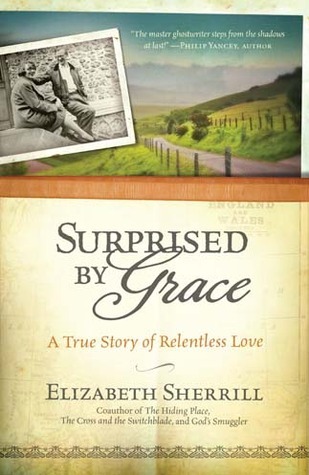 Renowned writer Elizabeth “Tib” Sherrill shares her own faith journey in Surprised by Grace. Embrace this page-turner and discover God at work in your own life every day! Tib has written for Guideposts magazine for over sixty years, contributed to Daily Guideposts for over twenty-five, and coauthored the best-selling, inspirational adventures of all time, including: The Hiding Place, The Cross and the Switchblade, God’s Smuggler and Return from Tomorrow. Yet Tib’s most powerful story ever is this beautifully written, exhilarating memoir. In it, you’ll discover how God’s love transformed her life—and find inspiration, hope, and strength for your own journey. See how Tib detects meaning in everything from an unhappy childhood to John’s surprising marriage proposal; from her oldest friend, Mea, to her beloved father-in-law who “saw” her perfectly even though he was blind. Enjoy touching stories about Tib’s family, and travel with her to fascinating places across the United States and around the world. Find out how she overcame her poor self-image after a stunning encounter with her Creator. Elizabeth Sherrill’s superb storytelling brings you into every scene, making you laugh and cry many times over. You’ll be reminded that God intends freedom and joy for you. You’ll also find wonderful insight and encouragement in the uplifting foreword by Guideposts Editor-in-Chief Edward Grinnan. I really looked forward to reading this book. I thought it would be super fantastic, and while is was good, it was not super fantastic. I love reading about people's lives and about how they get to where they are now. The first part of this book had me hooked and I was really very interested in Elizabeth's life. I enjoyed reading about her struggles and travels and real life adventures! Near the end of the book I slowly started to lose interest in all of the many many details but it was still good. If you don't enjoy reading real life stories, this book is not for you. It can be a bit dry and slow at times but if you enjoy these types of books, this one is a winner!